ROBEEZ Shoes | Buy ROBEEZ 's Shoes - Free delivery with Spartoo NET ! Robeez, because each step counts! So that baby's first steps are child's play, there is Robeez! 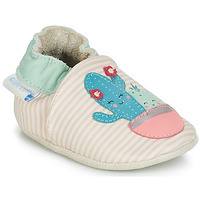 These little shoes with the cute designs have been specially designed to help your little ones start life on the right foot. Everything began in 1994 when Sandra Wilson, the mother of an 18 month old son, lost her job. She decided to make the best of it by spending more time with her son and made him shoes with an exceptionally soft sold and consequently discovered that they helped his balance. 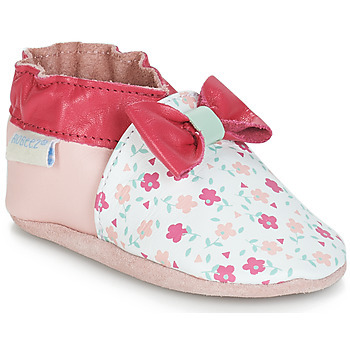 Robeez was thus born and children and mothers all over the world have benefited. 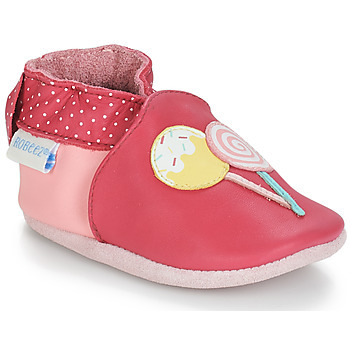 Today, Robeez are recommended by podiatrists and health specialists as they mould to the morphology of the foot and provide stability without hurting growth. 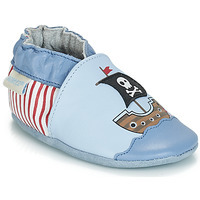 Comfortable and fun, they help your baby take his or her first steps through life.